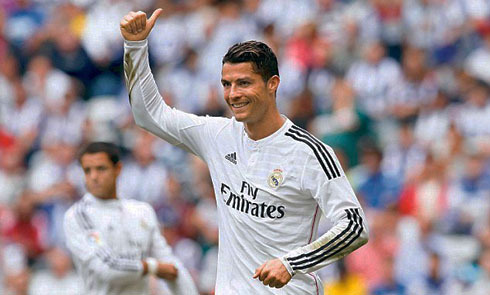 ﻿ Ancelotti: "Cristiano Ronaldo doesn't need to rest at this stage"
22.09.2014 » Ancelotti: "Cristiano Ronaldo doesn't need to rest at this stage"
For those wondering if Real Madrid had lost its mojo after having finished last season crowned as the new European champions, the answer may have just been given with a couple results achieved in the last few days. The Merengues scored a total of 13 goals in just 2 games, 5 of those in the Champions League opening round against Basel and then another 8 against Deportivo this last weekend. In the 6 games before those, Carlo Ancelotti's men had never scored more than 2 goals in a single game. The Italian manager previewed this Tuesday's clash against Elche that is set to be played at the Bernabéu and amongst many remarks made, he confirmed that Cristiano Ronaldo won't be one of the targets of some announced rotations, which he'll surely be doing in his team's lineup in order to make sure everyone stays fit for the latter stages of the season. Currently sitting 6 points behind Barcelona on the top of La Liga standings,	the Merengues know they are on a short leash when it comes to allow more surprises in the Spanish League. With a Real Madrid vs Barcelona "Clasico" coming up in about a month from now (October 25 of 2014), it's vital that the gap doesn't increase and that the Merengues somehow also manage to capitalize on any eventual slip-up from their archrivals until their meeting in the Bernabéu. Ancelotti: "All our players are pefectly aware that we're packed with games throughout the season and that the rotation we'll be seeing is more than natural to happen. I've already done it with Arbeloa last Wednesday for example. They'll understand this is a natural process of a rotation plan and not by any means any kind of a punishment. If that was the case, I would always talk with the player first...", started by stating the former AC Milan coach. 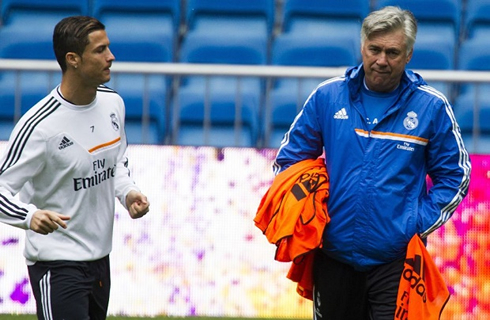 Ancelotti: "Cristiano Ronaldo however, doesn't need any rest at this stage of the season. He's on a superb form right now, on a great shape and very motivated. We'll need him on this level for as long as possible." Another issue that Ancelotti also approached in this Elche pre-match interview was how Cristiano Ronaldo's position on the pitch seems to have slightly changed over the last few games. 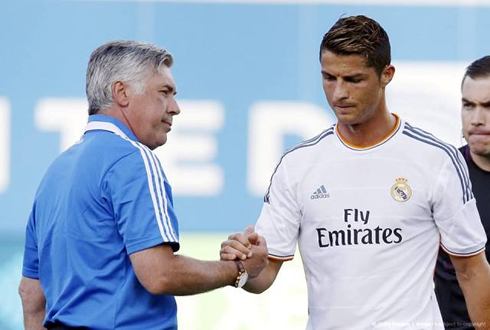 Ancelotti: "It's a conjectural situation. I believe that Ronaldo must be given total freedom on the pitch, in order for him to be able to do what his instinct tells him. If he starts showing up more near the right sideline, that's because he feels that's the best for the team. The fact that we have our forwards switching positions so often is definitely benefiting us, because it simply makes us more unpredictable in the attacking areas", commented the 55-year old coach. Carlo Ancelotti: "I think we're having a similar problem to the one we already had last year, but with a stronger attack at our disposal. Last season we struggled a bit in pretty much every aspect of the game, but now we're definitely doing well in the attack and only need to improve our defence. Overall speaking, I do think we are better this season than we were last year", commented the Italian manager. 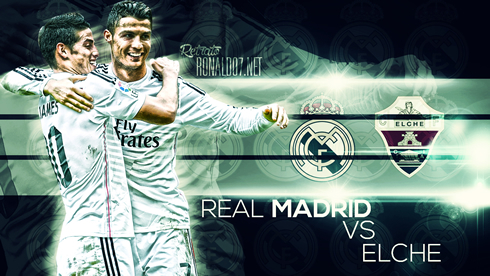 Cristiano Ronaldo's next game for Real Madrid is against Elche, for the 5th fixture of La Liga, on September 23 of 2014. In the meanwhile, you can watch Real Madrid vs Elche, Levante vs Barça, Liverpool vs Middlesbrough, Arsenal vs Southampton, and Bayern Munich vs Paderborn, all matches provided from our live soccer pages.